Did you know National Lasagna Day is celebrated on July 29? No? Neither did we! 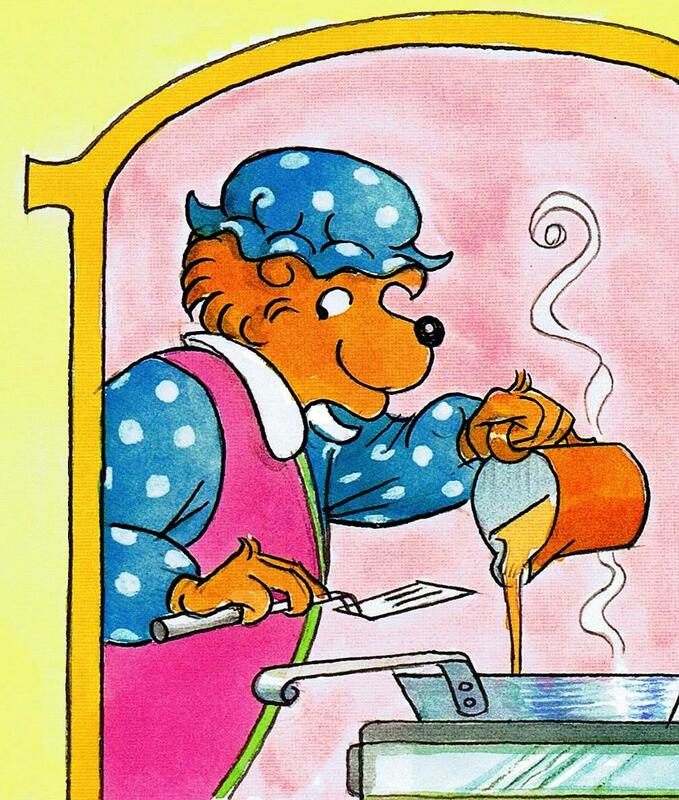 However, Jan Berenstain made delicious lasagna, so it’s a perfect month to share her very own recipe with you. Cook noodles according to instructions the package. In a baking dish (9×13) – with a couple of spoons of white sauce (recipe follows) in the bottom to start – alternately layer noodles, veal or chicken, mushrooms, large dots of cottage cheese, sprinkles of sliced and broken mozzarella, and sauce – ending with white sauce. Sprinkle top liberally with Parmesan cheese and lightly with parsley flakes. Bake in moderate oven (350°) for 45-50 minutes. Let stand for 15 minutes to set before cutting. Note: May be baked in advance and reheated, covered with foil, in 350° oven for 30 minutes. Melt margarine in saucepan. Blend in flour, salt and pepper (off heat). Add milk gradually to blend in smoothly, then return to heat and cook, stirring constantly until thickened. Remove from heat and stir in Worcestershire sauce and a heaping teaspoon of parsley. 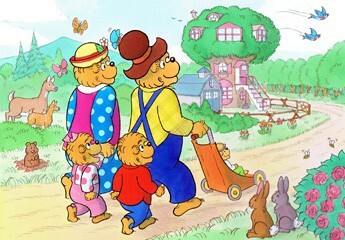 Lo-cal, delicious, and good for the whole family — even Papa Bear!